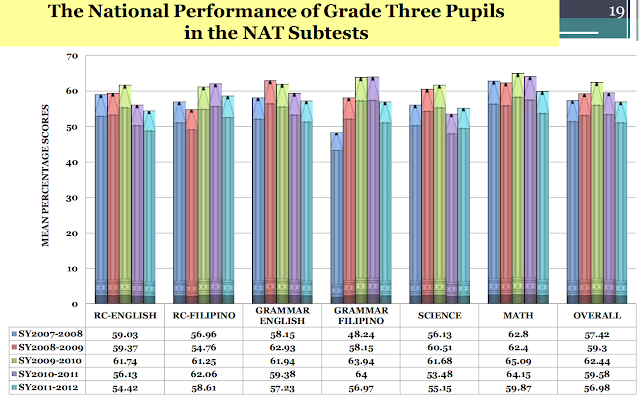 No curricular reform would work without addressing first the basic needs of school children. When kids have to climb cliffs and cross a river using a bamboo raft, their safety needs to be addressed first. A video showing what some Filipino children have to do just to attend school has been loaded on YouTube by Kyle Jennermann more than a year ago. The video has been viewed more than a hundred thousand times. 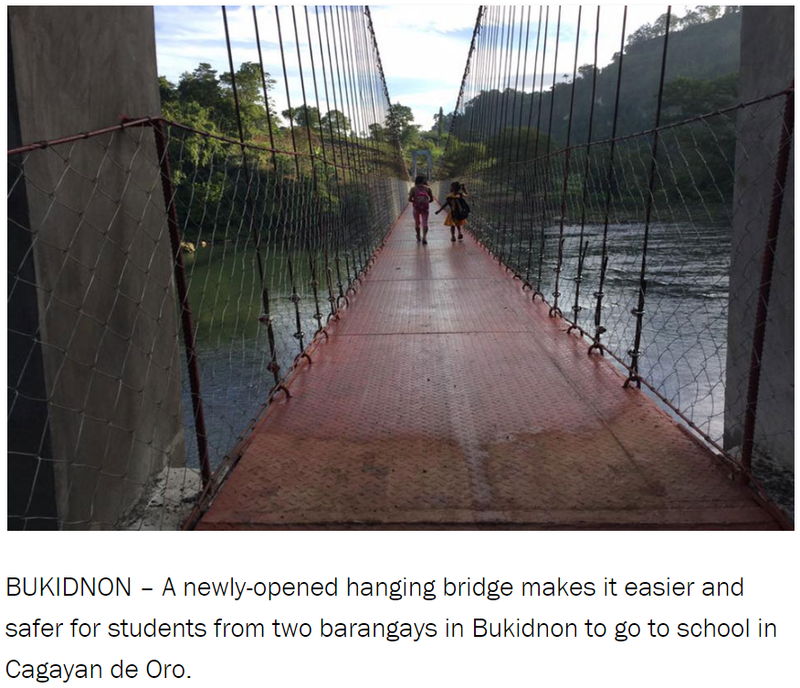 Finally, the Philippines government has taken the right step in improving basic education by providing a safe bridge for school children to cross in Barangay Lingating in Baungon, Bukidnon. The new bridge was formally opened two days before this past Christmas. 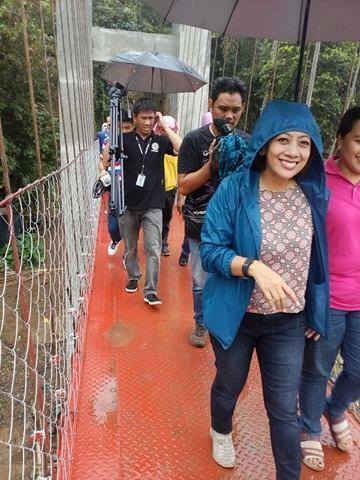 Among the first to cross is Bukidnon's representative Maria Lourdes Acosta-Alba. 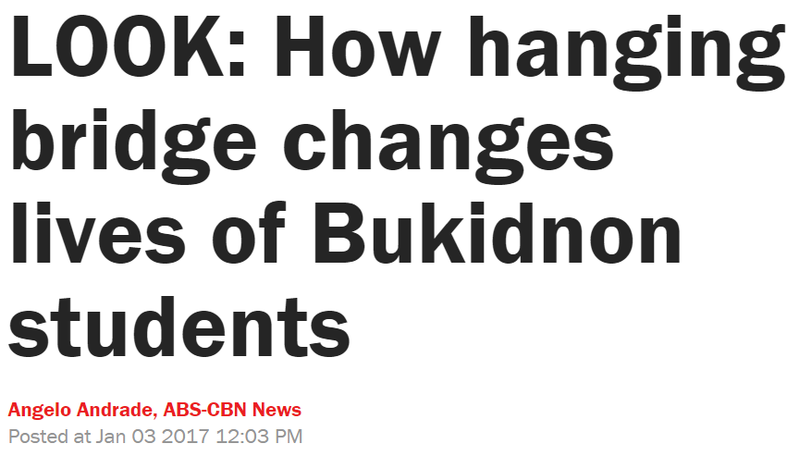 "Result of the investigation revealed that an estimated 50 elementary school children and high school students from sition Kitara, Brgy. 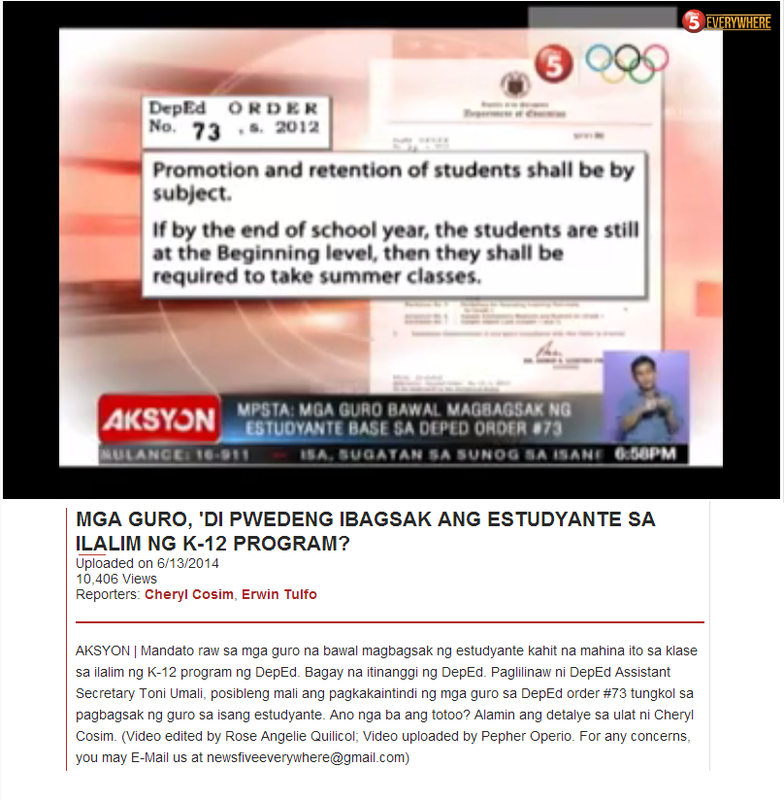 Lingating, Baungon, Bukidnon are going to and from Barangays Bayanga and Mambuaya Elementary School/High School, Cagayan de Oro City everyday just to be in school. The use of two (2) bamboo rafts is the only mode transportation in crossing the river, and they still have to climb the vertical bank of the river to reach their homes. This is the unchanging situation the people are embracing daily that puts so much risk in their lives. 1. Construction of 160 l.m. Hanging Bridge and Access Road, Brgy. Bayanga, Cagayan de Oro City to Sitio Kitara, Brgy. 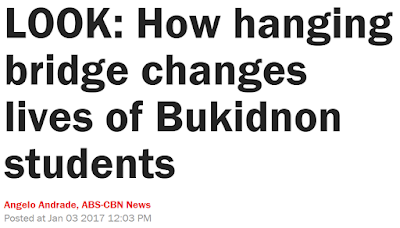 Lingating, Baungon, Bukidnon. 2. Construction of 124 l.m. Hanging Bridge and Access Road, Brgy. Mambuaya, Cagayan de Oro City to Sitio Macabundol, Brgy. Danatag, Baungon, Bukidnon. 3. Construction of 124 l.m. Hanging Bridge and Access Road, Zone 5 Sitio Aura Brgy. Mambuaya to Sitio Guimara, Brgy. Langawon, Baungon, Bukidnon. The project shall be implemented and completed in 2016 so that school kids will no longer take the risks in climbing the vertical bank of the river accident can be avoided. From the time the above message was received, it took more than a year to finish the bridge. Still, seeing this bridge brings hope that someday the Philippine government will soon prioritize what basic education really needs.